Nashville, TN (December 18, 2012) -- THE ROYS' career exploded in 2012, thanks to a continuing blitz of TV appearances, impact at radio and performances at top-tier festivals and venues across the U.S., Canada and in Australia. 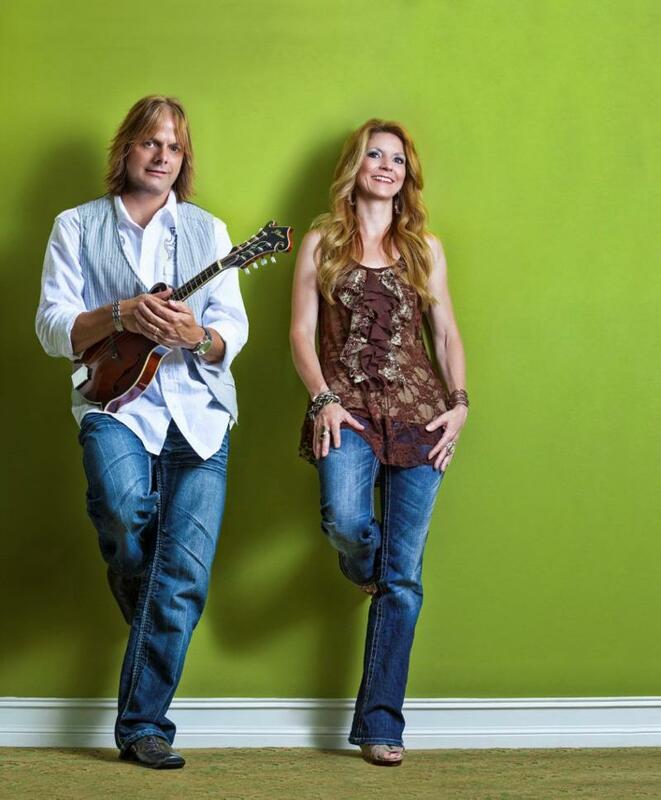 THE ROYS brought Bluegrass to the small screen this year with a host of appearances on network and cable outlets. In case you missed their performances, you can view them via the links provided. Additionally, the siblings appeared on the PBS programs Pa's Fiddle: Charles Ingalls, American Fiddler and Song of the Mountains; RFD-TV's Reno's Old Time Music Festival; CMC Australia/Sky TV-U.K. Bluegrass Mountains TV Show and the Dr. Steve Show. The duo aligned with Team RealTree™ Outdoor Energy Drink for a strategic partnership that includes tour sponsorship. 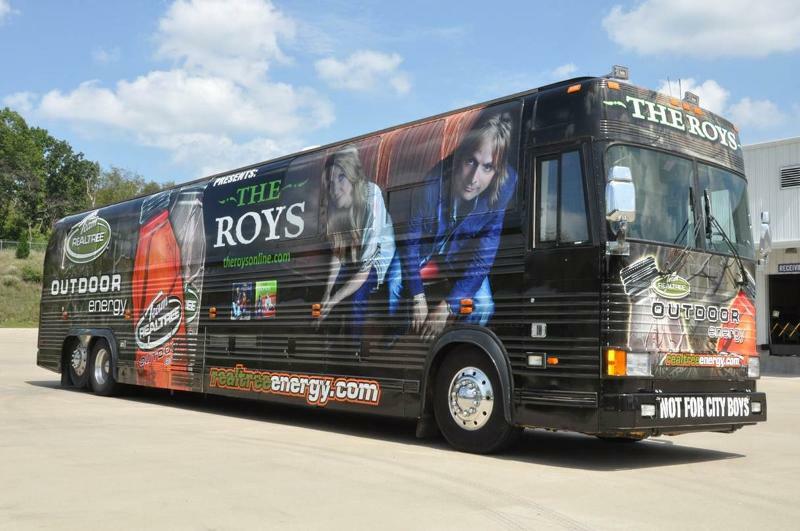 THE ROYS travel to their shows in a distinctly-wrapped RealTree™ camouflage bus, which was named for their critically-acclaimed 2011 CD, LONESOME WHISTLE. The trend-setting siblings also signed an exclusive global booking agreement with prestige agency Moonstruck Management. Dates for 2013 are filling in now. Lee and Elaine's sophomore disc for Rural Rhythm Records, NEW DAY DAWNING, was released in August and immediately found a home at radio and on the charts. The EP debuted at Number 2 on the BILLBOARD Bluegrass Albums Chart in early September and two weeks later climbed toNumber 1 on Amazon's Bluegrass Best Sellers list. Additionally, the week of September 21, all of the songs from the EP owned positions on the Bluegrass Today Chart, making THE ROYS the first-ever act to hold that honor. Currently, NDD holds the Number 34 spot on the current Roots Music Report - TOP 50 Bluegrass Albums Chart. The first single release from the new record, "Still Standing," continues to impact the charts, sitting at Number 19 on BLUEGRASS UNLIMITED Magazine's TOP 30 Songs Chart and holding the Number 15 spot on BLUEGRASS TODAY's - WEEKLY TOP 20 Chart. "THE ROYS embody all the qualities necessary to take Bluegrass music to new heights, but most importantly, a deep respect and passion for the music." 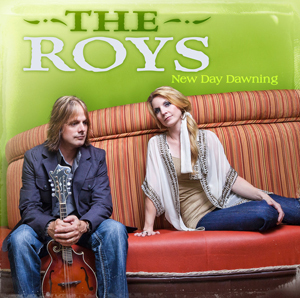 "THE ROYS are compassionate people who have found a unique way to use their music to spread a positive message and inspire those with whom they come in contact. Their latest release continues this tradition through both their writing and performance." The "explosion" that was 2012 is nearly over for THE ROYS. The holidays are upon us and it's time for family and friends. Fans can keep up with the latest on Lee and Elaine at TheRoysOnline.com, Facebook and Twitter.